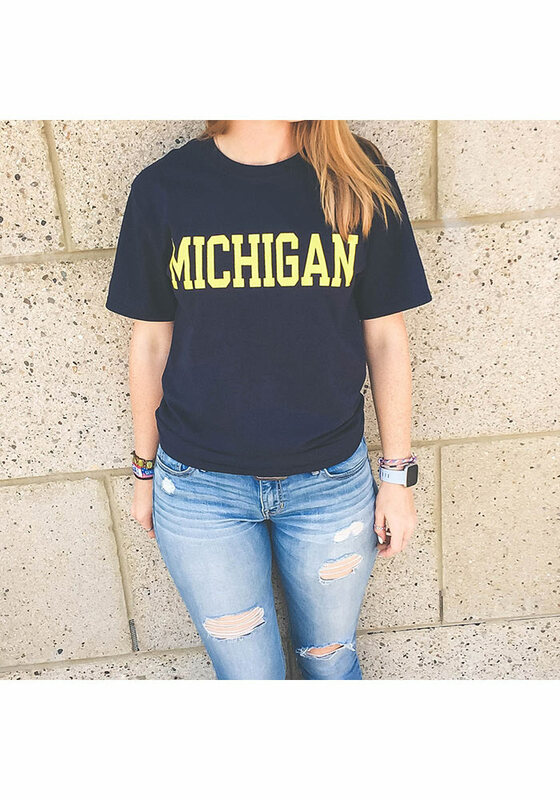 Show off your team pride in this Michigan Wolverines Navy Blue Rally Loud Short Sleeve T Shirt! 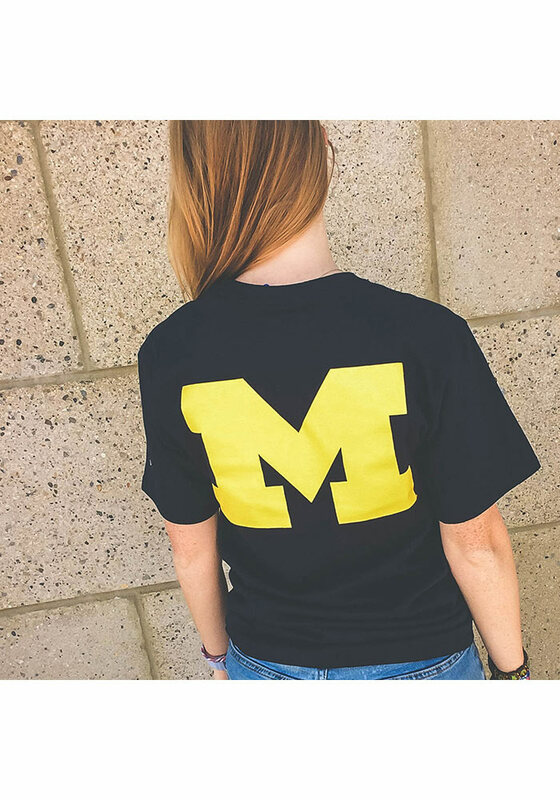 This Michigan Short Sleeve Tee features a screen printed wordmark on the front with team logo on the back. 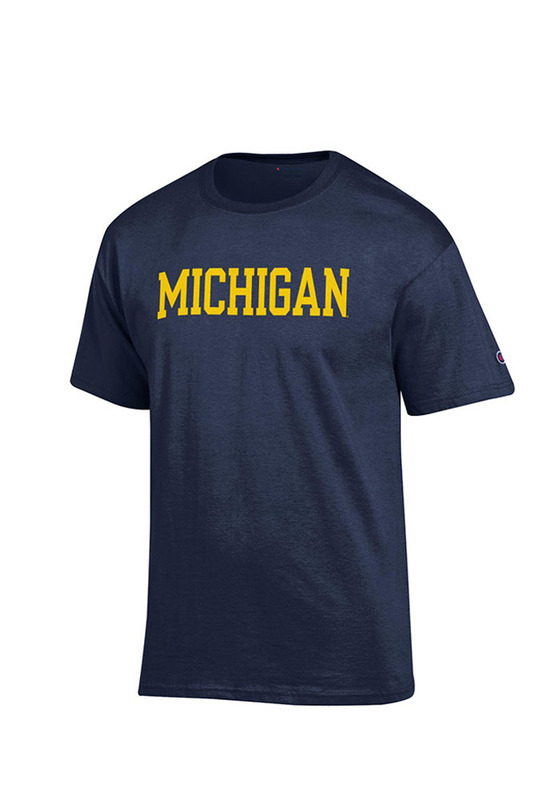 Make sure everyone knows you root for the Wolverines with this Navy Blue Michigan T Shirt. Go Michigan! Seems like good quality material. I bought a large which typically fits me just right but this shirt seems to run a fuzz smaller. Love this shirt. It is such good quality for being one of the cheaper shirts at the store! It's very comfortable and breathable. I sometimes wear it when I run and it keeps me cool. The only complaint is that the fit is a little iffy. I got a small, which I usually wear in mens shirts, and it's big on me. Other than that, great shirt for a low price! 12 customers found this review helpful.